Here I go again – trying to eat better. I go in waves with food. I’ll eat really well for a week or two but then as soon as I get something not-so-good for me, all I crave is bad food. I guess that’s why they say “You are what you eat”? After all, when I’m eating lots of fruits and veggies, I tend to eat better. But then as soon as I get a french fry or donut, forget it. I’m a lost cause. Well, I’m doing better this week, mostly because I spent a wonderful few days last week with my sister, niece and baby nephew in Texas, and ate pretty bad. We’re talking peanut-butter Snickers minis, leftover Easter candy and bags and bags of Chex Mix. So I made a conscious effort to start eating better on Monday. So far so good but it’s only been a few days. Anyway, this Asparagus with Lemon and Pecorino is a great way to jazz up boring asparagus while also getting a daily dose of veggies. 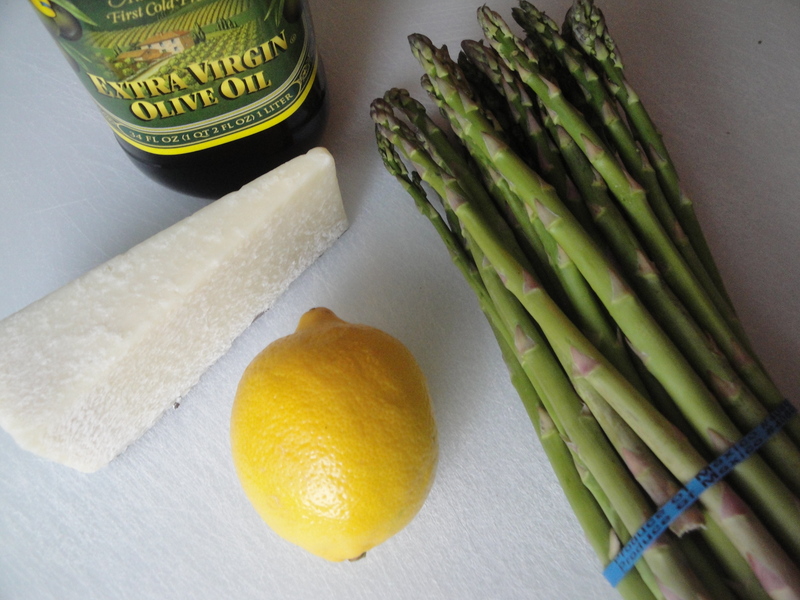 After boiling the asparagus until bright green and crisp-tender, it’s moved to a pan, sauteed in garlic and topped with lemon rind and pecorino Romano cheese. The lemon rind provides a fresh brightness while the pecorino adds a slightly sharp tang and melts perfectly. 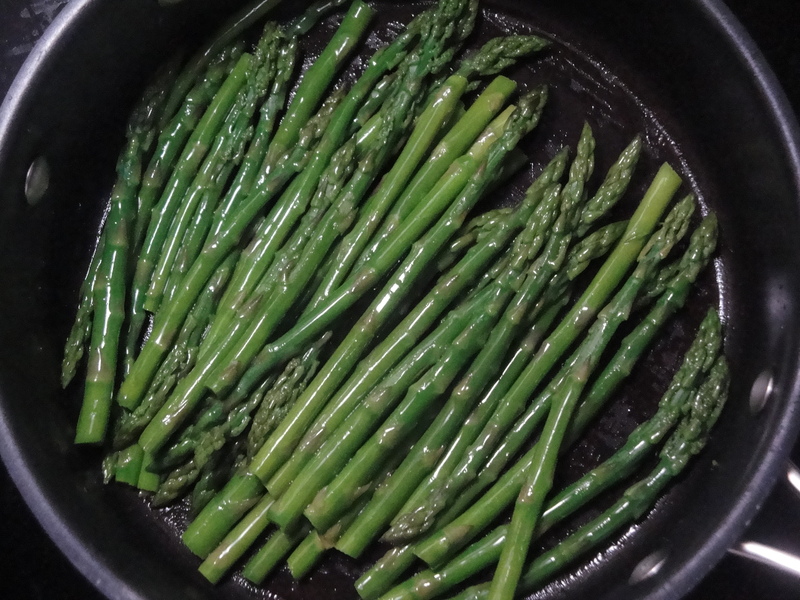 Since asparagus is one of Spring’s favorite gifts, go out and get some on sale and make this to eat with your favorite meal. Bring a large pot of water to a boil. 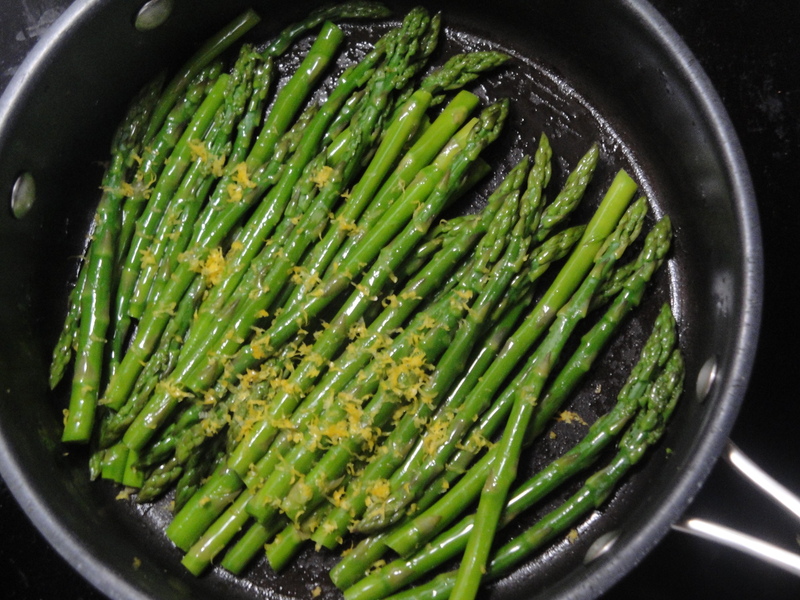 Add asparagus; cook for 2 minutes or until crisp-tender. Drain. Heat a large skillet over medium-high heat. Add olive oil to pan; swirl to coat. 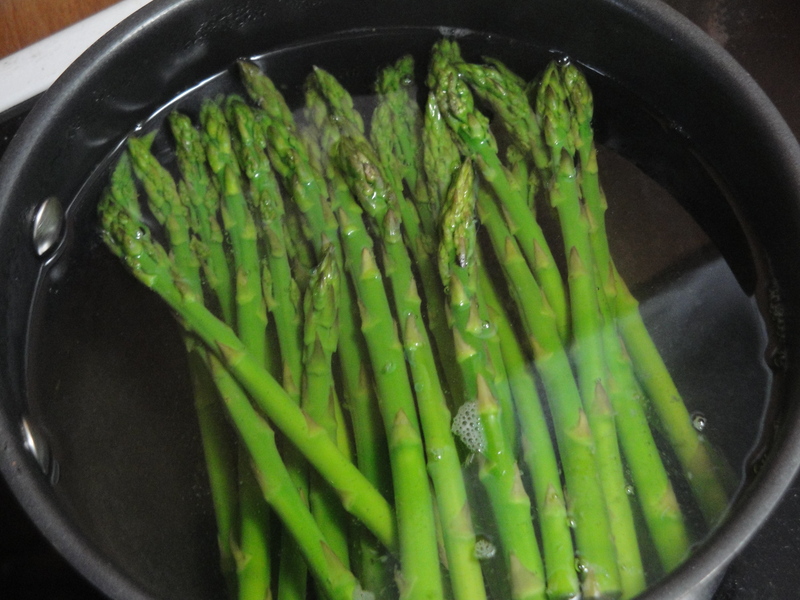 Add asparagus; cook 1 minute. Sprinkle evenly with lemon rind, pepper, and salt; toss to coat. 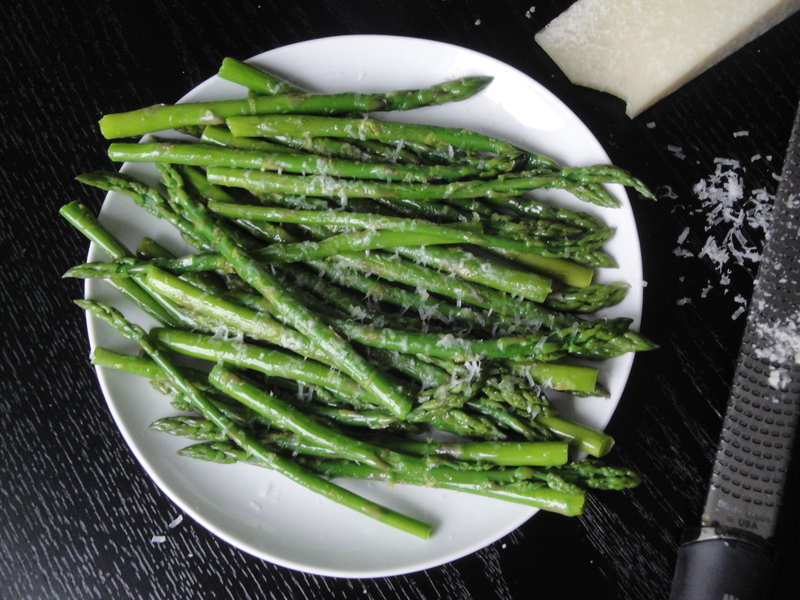 Sprinkle asparagus with pecorino Romano cheese. 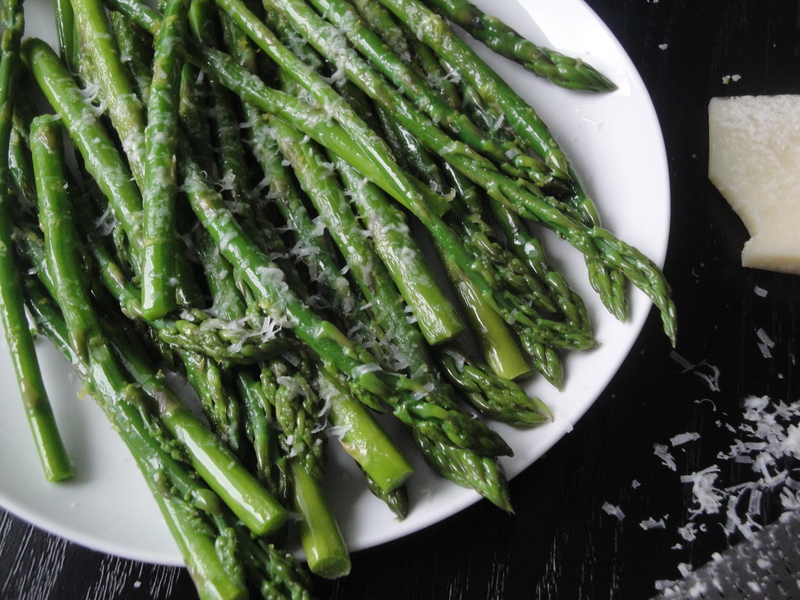 I’m so excited that it’s asparagus season and this dish looks just perfect!